Christmas is a great excuse to indulge in rich, delicious food and a tipple or too - goodies in stockings are no exception either! 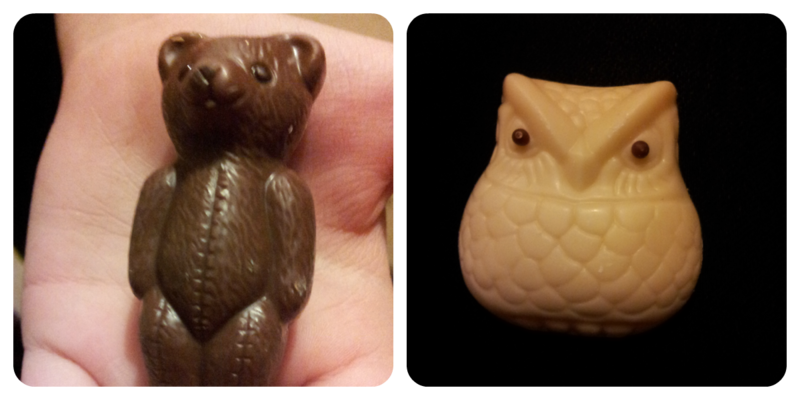 But this year, instead of the usual chocolate, you can pop in some cute yet quality treats from Betty's. Betty's is a family business which has been handcrafting artisan chocolates, cakes biscuits and more at their Yorkshire craft bakery for over 90 years. We received some Miniature Chocolate Bears and Snowy Owls to review and the Mini Mes were thrilled, I think most children would be too! 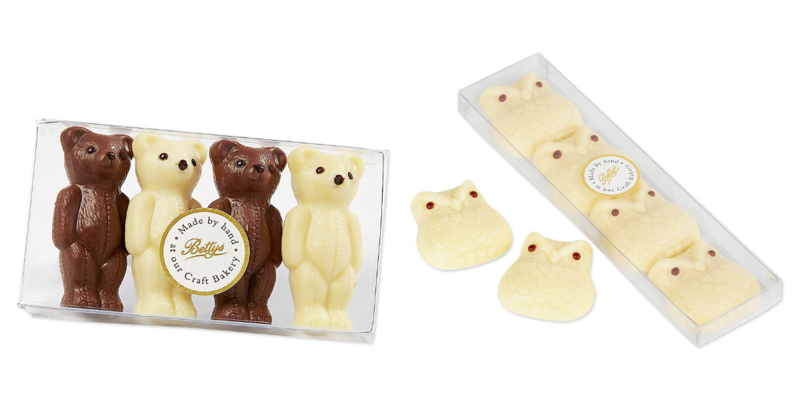 The Miniature Chocolate Bears are made from a combination of quality white and milk Swiss chocolate with dark chocolate detailing. They are solid, creamy in both taste and texture and they would make a lovely present for a child or friend as a classy stocking filler. They come in a packet of four which is just perfect to share (or scoff all by yourself!). The Snowy Owls also come in a pack of four and are solid too. They are made from white Swiss chocolate and make another great novelty gift solution. Delivery was fast and the items were wrapped really well to prevent damage in transit. Betty's add the special touches that create a shopping experience that makes you feel important to them as a customer. I was really pleased with both the service and products themselves. Betty's have kindly provided a set of Snowy Owls and Miniature Chocolate Bears to giveaway! For your chance to win you can enter via the Rafflecopter entry form below before 18th December 2012. Chocolate with nuts in it. Anything with Salted Caramel in it. I am a cadburys chocolate freak - always have been!! Fave chocolate - hmm. Depends what mood I'm in. Ecuadorian 80% cocoa if I'm feeling sophisticated or a Topic if I'm feeling in need of comfort. I like chocolate with strongly-flavoured praline, or homemade cake. I follow via GFC as ali thorpe. any milk chocolate! following via email as talcfour. My favourite sweet treat is dairy milk chocolate, yum! Chocolate brownie or fudge type cakes. Double Decker or Galexy Caramel or Creme Egg...I have lots of favorites! I love haribo tangtastics, i really love any sour sweets. My favourite chocolate at the moment is a Cadbury's Wispa - so glad they brought it back! My favourite choccie is galaxy. I just love an Easter Egg...not a cream egg. Fresh baked gooey chocolate brownies! I absolutely love milk chocolate with either freeze dried raspberries or strawberries....Yum!! I love anything white especially milky bar buttons!